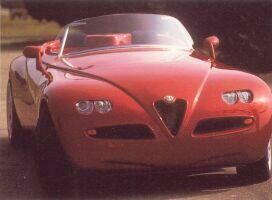 1996 "Issima" concept by Sbarro used two 3.0-litre V6 Alfa Romeo engines coupled together create a 500 bhp V12 unit. 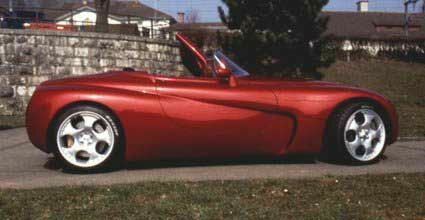 The car draws for transmission and in other mechanical areas including the huge Brembo brakes from the 1995 Alfa Romeo 155 V6 TI DTM race series car. The Issima is 3800mm long and 1800mm wide and weighs in at 1200kg.